YG's WINNER has come back to the music scene in a great success, sweeping music charts in and out of the country. On April 4 at 4PM, WINNER came back after one year and two months of absence from the music scene, releasing single album “FATE NUMBER FOR” with double title tracks “REALLY REALLY” and “FOOL”. As of April 5 at 9AM, “REALLY REALLY” was in No.1 on the real-time chart of seven music-streaming websites: Melon, Bugs, Olleh, Monkey 3, Genie, NAVER Music, and Soribada. Notably, the song reached the highest limit of Melon’s 24-hours streaming volume chart. WINNER is enjoying even greater popularity overseas. 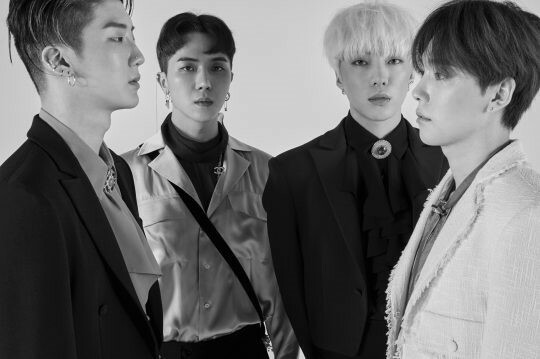 WINNER’s new single album “FATE NUMBER FOR” swept No.1 on the iTunes albums chart of maximum 21 countries including Brunei, Columbia, Finland, Greece, Guatemala, Hong Kong, Indonesia, Kazakhstan, Macao, Malaysia, Mexico, and Norway. In the United States, the birthplace of pop music, the album was ranked in the 7th place at highest. 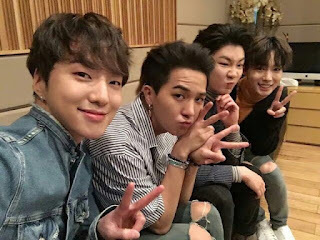 Despite the long-time absence from the music scene, WINNER is proving their global influence by drawing great popularity not only in Asia but also in the United States and European countries. “REALLY REALLY” which is sweeping music charts in and out of the country is a song directly written by WINNER members themselves. It well-expresses a happy mood and excitement about new love. The catchy melody in its hook part leaves an especially strong impression. “REALLY REALLY”s music video released along with the song is also drawing keen attention. The music videos of “REALLY REALLY” and “FOOL” which were shot all in LA in the United States surpassed 1,963,405 views and 1,609,557 views, respectively, as of April 5 at 9AM. After reaching 3,571,962 views together, the number of views of the two music videos is continuing to increase rapidly. In the meantime, WINNER who is enjoying great popularity for their new songs will kick off a full-fledged TV promotion for their new single by performing in MBC’s “Music Center” show and SBS “INKIGAYO” show on April 8 and 9, respectively.